The By-Laws of Marxist-Humanist Initiative were amended at our Annual Conference in October of 2010 in order to make explicit that we welcome Members and Supporters from around the world. 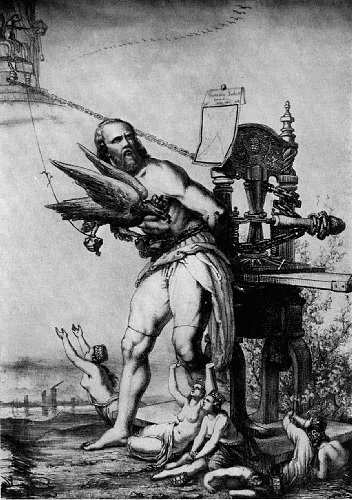 The version published below reflects those amendments, as well as corrections for spelling, punctuation, and the like. Please click here to view the original 2009 By-Laws. Our By-Laws were again amended at a Special Conference held on April 6, 2011. Click here to view our current By-Laws. – Raya Dunayevskaya, “Not by Practice Alone,” The Power of Negativity, p. 283. 1. The Marxist-Humanist Initiative seeks to rebuild, and to be a bridge toward, a future organization that is capable of promoting, developing, and concretizing the bodies of ideas of Karl Marx and of Raya Dunayevskaya’s Marxist-Humanism. The tasks, structure, and positions of this future organization will be based on the report given by Committee 3 to the conference of the Marxist-Humanist Committee (since dissolved) in Chicago in July 2008. 2. The membership is the highest body of the Marxist-Humanist Initiative. 3. All members of the organization have the right to communicate with all other members, and the organization will provide the contact information necessary for such communication to take place. 4. Between meetings of the membership, an Executive Committee directly elected by the membership will make decisions on behalf of the Marxist-Humanist Initiative in consultation with the membership, except in emergency situations in which consultation is not possible. The Executive Committee shall be ultimately responsible for ensuring that the decisions and tasks of the organization are carried out. The Executive Committee may appoint committees or individuals to carry out specific tasks under its supervision. Whenever “Executive Committee” is used in these By-Laws, the term includes any committees or individuals appointed by the Executive Committee. 5. Between meetings of the Executive Committee, a National Secretary directly elected by the membership will make decisions on behalf of the Marxist-Humanist Initiative in consultation with the Executive Committee and the membership. The National Secretary shall act for the membership in all matters affecting the immediate needs of the organization. 6. The membership shall make its decisions either at meetings or by means of e-mail discussion and voting. Meetings may be in-person meetings, teleconferences, videoconferences, or a combination of these. In order to decide a matter at a meeting, an absolute majority of the Marxist-Humanist Initiative’s total membership must be present. In order to decide a matter by means of e-mail discussion and voting, an absolute majority of the Marxist-Humanist Initiative’s total membership must have participated in the vote (by voting yes or no or abstain). 7. Meetings of the membership may be called at any time by the National Secretary, or by a majority vote at a prior meeting of the membership, or by request from an absolute majority of the Marxist-Humanist Initiative’s total membership, except that no meeting may take place unless it was announced to all members at least one week in advance. 8. If the Executive Committee wishes the membership to decide upon a certain matter, it may instruct the National Secretary (or another member of the organization chosen by the National Secretary) to conduct an e-mail discussion and vote, according to the procedures specified in Section B of these By-Laws. 9. Decisions of the National Secretary and decisions of the Executive Committee can be overruled by a majority vote of the membership at any of its meetings. Decisions of the National Secretary can be overruled by a majority vote of the Executive Committee at any of its meetings. 10. Members have the right to propose to the National Secretary that a motion be discussed and voted on by e-mail. The National Secretary must either accept or reject the proposal within four days. If the National Secretary rejects the proposal, and does not call a membership meeting at which the motion will be discussed, then a petition from at least one-third of the membership shall suffice to overrule the National Secretary. 11. If the post of National Secretary, or Treasurer, or a position on the Executive Committee, becomes vacant more than 30 days before the Annual Conference of the membership, the Executive Committee shall promptly conduct a special election in which the membership shall fill the vacant position. If all positions become vacant, the membership shall promptly hold a meeting to elect a new National Secretary, who shall then conduct elections for the other positions. 12. The membership shall meet at least once a year, at an Annual Conference. All members in good standing are entitled to, and required to, attend the Annual Conference, unless excused by the Executive Committee prior to the Conference or by a majority vote of the membership at the Conference. 13. All members in good standing shall have equal rights to speak, to make motions and amendments, and to vote during the Annual Conference. Except for changes or additions to the Constitution of the Marxist-Humanist Initiative, or to the topics on the Conference’s agenda, motions and amendments may be proposed at any time prior to the Conference, and at the Conference. The word “Constitution” as used in these By-Laws includes, at the least, the Principles and By-Laws of the organization. 14. The date(s) and venue of, and a minimal presentation of topics for, the Annual Conference shall be set by the Executive Committee. It must announce the Conference at least 90 days in advance; otherwise, decisions made at the Conference will be null and void. Members must submit any additional topics they wish to put on the agenda at least 60 days prior to the Conference. After discussion, and at least 30 days prior to the conference, the membership will vote on the agenda (topics and times). The agenda may be altered thereafter, at the Conference, only by a vote of at least ¾ of the body (i.e., there must be at least three times as many yes votes, for the alteration, as no votes). 15. The National Secretary of the Red Current of the Marxist-Humanist Committee shall serve as the Marxist-Humanist Initiative’s National Secretary until a membership meeting elects a new National Secretary or until the first Annual Conference. Thereafter, the membership shall elect a National Secretary, by majority vote in a secret ballot, at each Annual Conference. Thus the National Secretary’s term of office shall end at the start of the next Annual Conference. 16. The membership shall elect an initial Executive Committee at a meeting or by e-mail balloting conducted by the National Secretary. This Executive Committee shall serve until the first Annual Conference. Thereafter, the membership shall elect an Executive Committee, by majority vote in a secret ballot, at each Annual Conference. Thus the Executive Committee’s term of office shall end at the start of the next Annual Conference. The Executive Committee shall consist of three members: the National Secretary plus two others. 17. The Executive Committee shall meet at least once a month by any method for meeting prescribed in Section A, paragraph 6, above. In order to decide a matter at a meeting, at least two members of the Executive Committee must be present. 18. The Executive Committee shall publish full minutes of each meeting within ten days of the meeting. All members shall have equal access to these minutes. Minutes must include a detailed account of the Executive Committee’s deliberations, the exact wording of motions and amendments, and a record of how each member voted. 19. The National Secretary, or any member of the Executive Committee, may be removed at any time by a majority vote of the membership after due notice to that member and a discussion period on the motion to remove her or him. If a member is under suspension or has been expelled, he or she is automatically removed from all elected positions. In both cases, the removal will take place immediately. (d) be announced to all members at least 15 weeks before the opening date of the proposed Special Conference. Once the Call for a Special Conference is issued, the organization shall have two weeks in which to debate it. Additional members may sign the Call and members who have previously signed the Call may withdraw their signatures during this period. If the number of signatories to the Call falls short of two-fifths of the organization’s total membership at any time during this period, the Special Conference shall not take place. Otherwise, it must take place. 21. Additional topics may be added to the agenda of the Special Conference by a vote of a majority of those members who did not issue the Call for the Special Conference, provided that this majority constitutes at least two-fifths of the Marxist-Humanist Initiative’s total membership. Such additions must be voted upon at least 30 days prior to the Special Conference. 22. All members in good standing shall have equal rights to attend, speak, make motions and amendments, and vote during the Special Conference. 23. The membership, or the National Secretary, or the Executive Committee in cases in which the full membership has not acted, may establish any additional rules at any time, provided that they do not conflict with these By-Laws. 24. The Marxist-Humanist Initiative, the National Secretary, and the Executive Committee must strive to elicit the fullest participation of women, youth, African-Americans, LGBTQs, and other minorities in the life of the organization, as members, as “Supporters of the MHI,” and as other supporters. Members of these groups are entitled to advance their needs and interests within the Marxist-Humanist Initiative by forming their own sub-groups, which shall be self-governing and responsible only to themselves, provided that they function in a manner consistent with these By-Laws. 25. There shall be a Technical Committee under the direction of the Executive Committee. The Technical Committee is charged with maintaining the Marxist-Humanist Initiative’s website(s) and electronic listserv (if any), and with making the Marxist-Humanist Initiative’s archive of decisions and rules accessible to all members. The Technical Committee is also charged with educating the membership about how to access technical resources that can be utilized for furthering the goals of the Marxist-Humanist Initiative. Any passwords, any change of passwords, and methods for accessing password-protected resources must be known to the whole Technical Committee, so that no one on the Technical Committee is prevented from accessing them. 26. The membership may decide to create rules allowing for the establishment of local sub-groups and other sub-groups of the Marxist-Humanist Initiative. Such sub-groups may then operate according to their own rules, provided that such rules do not conflict with these By-Laws or with the rules that allow for the sub-group’s establishment. 1. In the Marxist-Humanist Initiative, and in all of its bodies and sub-groups, decisions will be made by the following process. A motion, the language of which is completely specified, will be proposed, and there will be an opportunity to clarify its meaning. Next, the motion will be discussed, after which amendments, the language of which are completely specified, may be proposed. There will be an opportunity to clarify their meaning. Next, the amendments will be discussed. The author(s) of the motion may then accept an amendment as a friendly one or reject it. If the amendment has been accepted by the author, the body then votes on the motion itself, as amended. If the amendment has been rejected by the author, the body then votes on the amendment. If the amendment passes, it becomes part of the motion. The body then votes on the motion. 2. Members of the decision-making body may vote yes, or no, or abstain, or decide not to vote. 3. Those who vote on a motion or amendment are the ones who bear the responsibility for clarifying its meaning, prior to voting on it. Once the period for clarification is over, they will be assumed to understand its meaning. (b) motions may never be nullified or subjected to a re-vote on the ground that one or more persons allegedly did not understand the meaning of the motion, or interpreted it differently, when he or she voted on it. 5. Whenever voting occurs over e-mail, there shall be at least 24 hours set aside to propose amendments, and 24 hours set aside for the author(s) of the motion to accept amendments as friendly or reject them. There shall be at least 48 hours set aside to each of the following: clarify the meaning of a motion, clarify the meaning of amendments to it, discuss a motion, discuss amendments to it, vote on the amendments, and vote on a motion. 6. The Executive Committee is responsible for maintaining a complete archive of all motions approved by the membership and all motions approved by the Executive Committee, and a complete archive of all rules of the Marxist-Humanist Initiative. 7. Except as otherwise indicated in these By-Laws, passage of an amendment or motion requires a simple majority; that is, yes votes must outnumber no votes. Thus, in the event of a tie, the motion or amendment fails. 8. Changes and additions to the Constitution of the Marxist-Humanist Initiative shall require a two-thirds majority; that is, motions to change or add must receive at least twice as many yes votes as no votes. Motions to change or add to the Constitution must be made in writing at least 60 days before the Annual Conference of the Marxist-Humanist Initiative, or 60 days before the start of any Special Conference, and voting on such changes or additions may take place only in person at the Conference or by means of a signed proxy ballot delivered in time to the person(s) conducting the vote at the Conference. 1. Membership may be applied for by any person of any age residing in any country of the world. 2. As an organization committed to socialist concepts of democracy, fairness, and transparency, the Marxist-Humanist Initiative establishes rules regarding members’ behavior, but it does not attempt to regulate or control their beliefs. 3. As an organization that believes that unfettered inquiry and rational debate are crucial to the self-development of Marxist-Humanism and the idea of freedom generally, the Marxist-Humanist Initiative recognizes and respects the right of groups of members to belong to and freely operate within openly disclosed factions, tendencies, and currents. 4. Accordingly, the Marxist-Humanist Initiative will not disqualify people from membership because they do not agree 100 per cent with every particular goal, principle, rule, position, or decision of the organization. 5. Instead, applicants for membership shall be required to state in good faith that they are in general agreement with the goals and principles of the Marxist-Humanist Initiative. They also shall be required to state in good faith that they are familiar with the requirements of membership and other By-Laws and rules of the Marxist-Humanist Initiative, that they will abide by them, and that they will dutifully abide by, actively carry out, and loyally support decisions commonly arrived at by the majority of the organization. They must inform the organization of any other political or philosophical organizations to which they belong. They must have an understanding of Marxist-Humanism sufficient to allow them to exercise their responsibilities as members. They must be dedicated to assisting the organization’s work on the development of Marxist-Humanist theory and philosophy, and regard that work as essential to the success of the struggle for a new, human society. 6. When deciding whether to accept applicants for membership, the Marxist-Humanist Initiative shall apply the criteria outlined in paragraph (5) of this Section. Applications will be discussed by the membership as a whole (or by a body to which the membership has delegated this decision), and the application will then be approved or rejected by majority vote of the body. 7. Members must abide by the Constitution, including these By-Laws, and the other rules of the Marxist-Humanist Initiative. 8. Members must dutifully abide by, actively carry out, and loyally support decisions approved by the majority of the Marxist-Humanist Initiative. 9. In order to help keep Marxist-Humanism alive, members must actively help to develop Marxist-Humanism, promote and publicize Marxist-Humanist ideas, and carry out other organizational tasks. 10. In order to hinder attempts to make the Marxist-Humanist Initiative serve the interests of individuals, instead of achieving its formally agreed-upon goals and fulfilling its formally agreed-upon tasks, membership shall be a privilege granted to individuals who do their fair share of work carrying out organizationally approved activities and assignments. Each member’s work will include both mental labor and manual labor. 11. The fair share of work of a particular individual shall be determined in accordance with her or his other work responsibilities, age and health considerations, family obligations, and other responsibilities. The Executive Committee, after consultation with the member, will determine the individual member’s fair share of work. The member’s work assignments will be determined by joint agreement between the member and the Executive Committee. No member shall be forced to take on a particular assignment that he or she feels unable to accomplish adequately, but every effort shall be made to give a member assignments intended to break down a division between mental and manual labor if that is what the member desires. In any case in which the member and the Executive Committee cannot come to an agreement, the matter shall be decided by majority vote of the membership. 12. Members are entitled and encouraged to engage in additional political and/or philosophical activities that have not been designated as activities of the Marxist-Humanist Initiative as such, as long as that work does not violate the organization’s principles. This work does not count toward the fulfillment of a member’s requirement to work for the Marxist-Humanist Initiative. 13. When communicating with non-members of the organization, members must promote the ideas and views of the Marxist-Humanist Initiative first, before stating any alternative views or ideas, except if doing so would violate security. 14. If a member disagrees with a position or a view of the Marxist-Humanist Initiative, he or she must without delay express her or his disagreement, and voice an alternative position or view, so that debate can occur quickly and so that cliques will not be fostered. 15. Members must not hinder or interfere with dissent that is permitted by these By-Laws and the rules of the Marxist-Humanist Initiative. 16. Members must regularly attend national meetings of the Marxist-Humanist Initiative, and any international meetings or meetings of the Marxist-Humanist Initiative in their locality, unless absence is requested well in advance or an emergency arises. 17. Members must make regular contributions to the Marxist-Humanist Initiative, as outlined in Section G of these By-Laws. 18. Members are free to belong to other political and philosophical organizations, provided that such membership has been approved by the membership (or the Executive Committee, if the membership has delegated its authority on this matter to the Executive Committee). 1. Individuals who generally agree with the Marxist-Humanist Initiative’s philosophy, principles, and positions, but who are unable to commit to doing their fair share of work carrying out organizationally approved activities and assignments, are strongly encouraged to apply to become “Supporters of the Marxist-Humanist Initiative” (hereafter “Supporters”). Supporter status may be applied for by any person of any age residing in any country of the world. 2. Applications for Supporter status will be approved or rejected by majority vote of the membership (or by a body to which the membership has delegated this decision). 3. 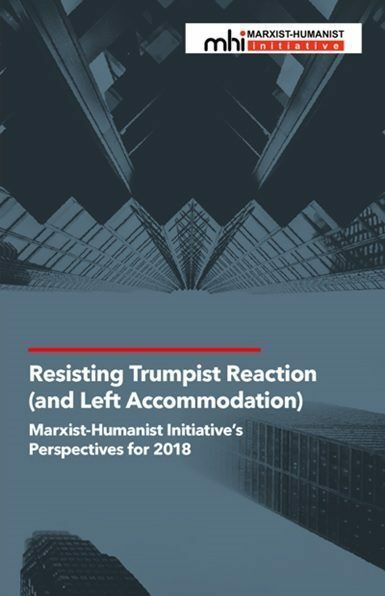 Supporters are entitled to attend, and they have full rights to speak at, the Annual Conferences and other in-person meetings of the Marxist-Humanist Initiative and local sub-groups of the Marxist-Humanist Initiative. They are entitled to call themselves supporters of the Marxist-Humanist Initiative and to identify themselves as such when listing their affiliations. They may not vote and may not hold any elected position (e.g., National Secretary, Executive Committee, Treasurer) in the Marxist-Humanist Initiative. 4. A Supporter and the National Secretary (or a duly-authorized representative of the National Secretary), in consultation with the membership, will together work out how the Supporter will assist the work of the Marxist-Humanist Initiative. 5. The Marxist-Humanist Initiative and those acting on its behalf will seek to establish a two-way relationship with each Supporter, and a direct relationship between the Supporter and the organization (rather than a “personal” relationship with one or more individual members), with the aim of having the Supporter become an active participant in the Marxist-Humanist Initiative to the extent he or she is able and willing. 6. The membership or the Executive Committee may decide to revoke Supporter status at any time if a Supporter is no longer using this status to promote Marxist-Humanism, or is promoting an alien philosophy, or is in any manner harming the Marxist-Humanist Initiative, or if the Supporter repeatedly fails to maintain contact with the Marxist-Humanist Initiative when such contact is elicited. (d) he or she is more than three months in arrears in regular contributions without proper excuse. 2. If, at some future time, a former member who was dropped wishes to reapply for membership, he or she must successfully pass through a three-month probationary period, during which all rights and responsibilities of membership apply except that the probationary member shall not have the right to participate in the decision-making processes of the organization. At the end of the probationary period, the reapplication will be approved or rejected by majority vote of the membership (or by a body to which the membership has delegated this decision). (g) personal conduct unbecoming a member of the Marxist-Humanist Initiative. (f) efforts to prevent or halt a violation of the Marxist-Humanist Initiative’s Constitution, including these By-Laws, or other rules, by the majority or by persons acting on behalf of the majority, provided that such efforts are not prohibited by paragraph (3) of this Section. (e) charges and defenses shall be heard by the whole membership (or by a body, consisting of at least three members, designated by the membership to hear them). 6. If, but only if, the membership (or the body it designates) decides that the charge is true, it may censure the member or, in extreme cases, suspend the member for a period of no more than three months, effective immediately. 7. Members who have been under suspension for three months may be permanently expelled by the membership (or by a body, consisting of at least three members, designated by the membership to decide upon expulsion). Expulsion is not automatic; the suspended member may be expelled only after new deliberations at the end of the three-month period. 8. Members who have been suspended or expelled by a body other than the membership are entitled to appeal the decision to the whole membership at its next Annual Conference. 9. Members under suspension, and members who have been expelled, may not participate in organizational activities, discussions, or deliberations, and they may not vote. 10. If, at some future time, an expelled member wishes to reapply for membership, she or he must apply to the Executive Committee, which shall promptly inform the membership about the re-application. If the Executive Committee decides to process the re-application, it shall go through the same process as regular applications for membership. 1. As an organization committed to socialist concepts of democracy, fairness, and transparency, we hold that majority rule is illegitimate and not truly democratic unless the minority has a genuine opportunity to become the majority itself. A minority is not obliged to accept the rule of the majority if it lacks that opportunity. (b) a majority (whether declared or undeclared) and its members shall have no rights that an openly disclosed faction, tendency, or current and its members lack, except that all members must dutifully abide by, actively carry out, and loyally support the decisions of the majority. 3. When an openly disclosed faction, tendency, or current announces itself to the membership, it automatically obtains the rights accorded to openly disclosed factions, tendencies, and currents. 4. No secret group within the Marxist-Humanist Initiative, whose aims differ from those of the Marxist-Humanist Initiative in whole or part, and/or which has its own internal discipline, shall be permitted to exist. (f) the right to act in concert in an effort to prevent or halt a violation of the Marxist-Humanist Initiative’s Constitution, including these By-Laws, or other rules, by the majority or by persons acting on behalf of the majority, provided that such effort is not prohibited by paragraph (3) of Section E of these By-Laws. 6. Other rights that the Marxist-Humanist Initiative may extend must apply equally to all openly disclosed factions, tendencies, currents, and other groupings, including the majority (whether declared or undeclared). 1. There shall be a Treasurer, elected annually by the membership. (a) All withdrawals and transfers of funds belonging to, or otherwise intended for, the Marxist-Humanist Initiative shall require the signatures of both the Treasurer and the National Secretary. All non-routine withdrawals and transfers require that both parties know the purpose and amount of the withdrawal or transfer before signing the check. (b) The Treasurer shall issue a full report, at least every six months, to which all members shall have full access, and promptly answer members’ questions about it. The report shall detail, for the period in question, receipts, expenditures, transfers of funds, any loans to or from the Marxist-Humanist Initiative, and the opening balances and closing balances in all accounts belonging to, or otherwise intended for, the Marxist-Humanist Initiative. (c) A Treasurer may be removed at any time by a majority vote of the membership. The removal will take place immediately. (d) The Treasurer shall have no authority to spend, invest, or transfer funds other than the authority that the membership (or the Executive Committee, insofar as the membership has delegated its financial authority to the Executive Committee) has explicitly granted. The Treasurer must carry out the instructions of the membership (or the Executive Committee, insofar as the membership has delegated its financial authority to the Executive Committee). 3. The Treasurer, in consultation with the Executive Committee, shall draw up an annual budget, and shall take an active role in the Marxist-Humanist Initiative’s fundraising activities. 4. In order to permit the Marxist-Humanist Initiative to function, each member is required to make regular contributions to it, according to a time schedule mutually agreed upon by the member and the Treasurer, subject to constraints established by the organization (or the Executive Committee, insofar as the membership has delegated its financial authority to the Executive Committee). 5. Regular contributions for employed members shall be the equivalent of $400 of 2009 annually. Regular contributions for less-than-fully-employed members (e.g., students, retirees, etc.) shall be the equivalent of $100 of 2009 annually. Special contributions to additional organizational funds are voluntary. 6. Any local sub-groups and other sub-groups of the Marxist-Humanist Initiative may establish additional requirements for contributions, provided that the assessments do not hinder a member from belonging to a sub-group to which she or he is eligible to belong.